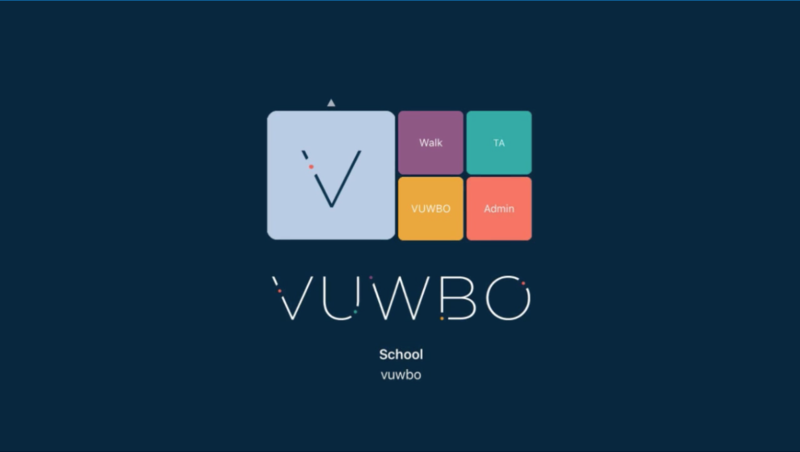 Schools across the UK and overseas are using VUWBO to evaluate teaching and its impact on learning. Our unique sliders provide users with descriptors of practice as well as giving teachers and observers guidance to help them evaluate the impact of teaching on learning. 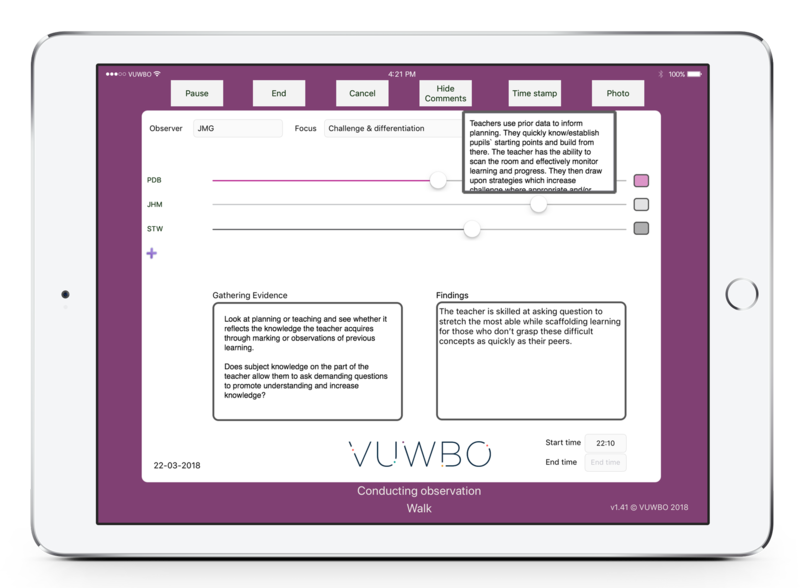 Use VUWBOs evidence informed sliders to investigate 5 aspects of classroom practice or create your own slider content and guidance. VUWBO walks are proving a popular tool to focus in on one aspect of practice across school. Write your own sliders, produce school and group reports, export information to share with governors and track changes over time. 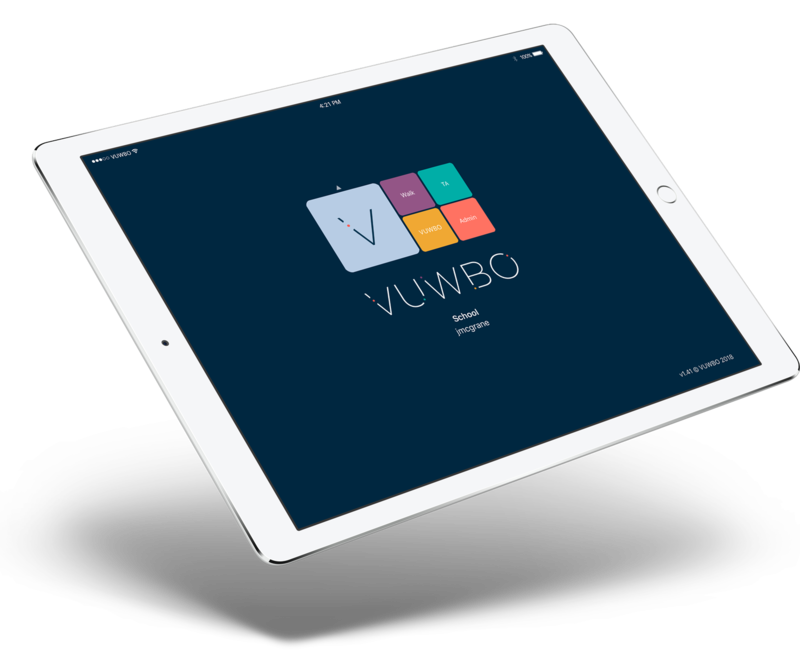 VUWBO walks allow you to enquire into one aspect of classroom practice in up to 5 classrooms. 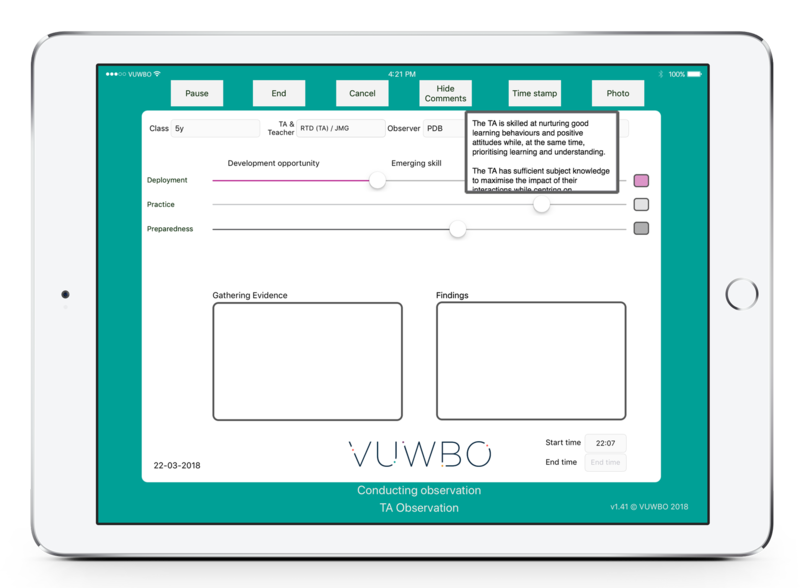 Choose one of the 5 VUWBO sliders or create your own slider content to investigate an aspect of teaching or curriculum relevant to your school development priorities. VUWBO Teaching Assistant’s observation resource provides you with a ready-made tool designed to maximise the impact of TAs in classrooms. Designed with Rob Webster, author of the latest EEF Teaching Assistant guidance. Take photos to support work scrutiny, discuss classroom layout or pupil behaviouror interaction. Easy-to-use report creator, create reports for staff, teams or whole school.